The NS-CSB 3x3 Crane Spreader Beam is 3 metres in length and has SWL of 3 tonnes. 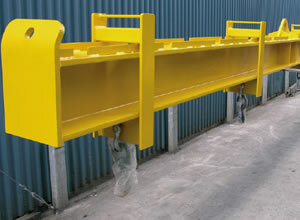 The 3x3 Spreader Beams are supplied standard with 5 lifting positions and also supplied with 2 safety swivel hooks. The NS-CSB 10x4 Crane Spreader Beam is 10 tonne capacity SWL and 4 metres in length to suit most applications. The NS-CSB 5x4 Crane Spreader Beam is 4 metres in length and has SWL of 5 tonnes. 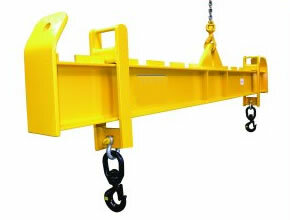 The 5x4 Spreader Beams are supplied standard with 5 lifting positions and also supplied with 2 safety swivel hooks.